Diversified explorer, Speciality Metals (ASX:SEI), today announced to the market that an additional five exploration concessions over a key area of Salar de Bellavista have been granted by the Chilean courts. SEI is currently in the process of arranging for the transfer of these exploration concessions into its wholly owned Chile-based subsidiary, Special Metals Chile. These concessions cover a significant portion of the western part of Salar de Bellavista, in a situation tectonically analogous to, and north-west of, Salar de Atacama in Northern Chile. 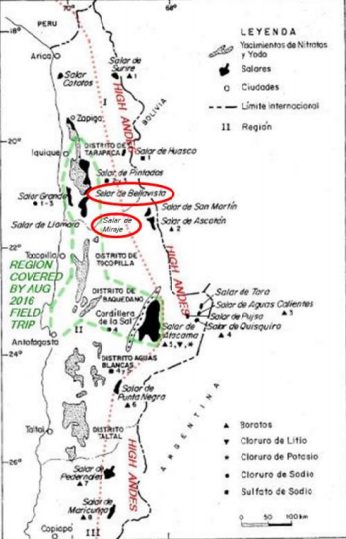 In this area, two companies – Albemarle Corp and SQM S.A. – produce a third of the world’s lithium from brines. This land is situated nearby existing infrastructure, and is close to the Pan American Highway and lithium processing infrastructure at the port of Antofagasta. As SEI previously announced, five exploration concessions have already been granted in Salar de Miraje during 2016, and the company has applied for an additional 15 within Salar de Pintados — this application process is now well-advanced. SEI has focused on salars (basins with internal drainage) geologically older but at a lower topographic elevation than those where lithium is produced by evaporation of brines pumped from the subsurface. This choice has been in anticipation of the fact evaporation at the lower elevations will favour lower operating costs if SEI’s exploration for lithium brines in the salar is successful. Salar de Bellavista is at an elevation of 1000 metres, at which elevation evaporation is expected to be year-round and faster than at Salar de Atacama (elevation of 2000 metres). Except for this difference, the salars that are the focus of SEI’s exploration are geologically similar to those already producing lithium or that are known to contain lithium resources. SEI’s target salars appear to be fed in part from hot springs, and the evaporite minerals already produced from the target salars (nitrates and borates) indicate the typical salar closed hydrological basin dominated by evaporation. Additionally, the host sediments within the target salars are identical to the sediments that host the lithium brines at higher altitudes, and consist of evaporative carbonate-dominated sediments. 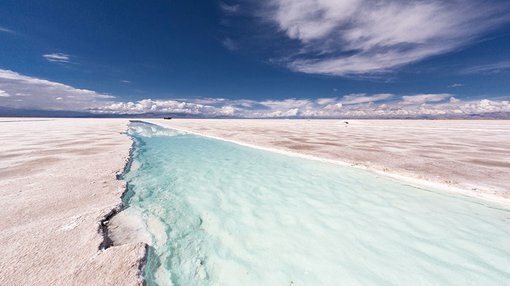 Strongly anomalous lithium and boron values have been obtained from surface sampling of salt crusts and brines in surface depressions in the area surrounding the Salar de Bellavista and the adjacent Salar de Miraje concessions where SEI has already been granted five exploration concessions. Of the 10 salt crust samples taken in Salar de Bellavista during SEI’s initial research and reconnaissance in 2016, all but two were anomalous, containing from 50 to 274 parts per million of lithium; of these, four had associated elevated boron values ranging from 850 to 1820 parts per million of boron. SEI executive chairman, Russell Krause, said: “The granting of these concessions marks the start of an exciting new chapter with the company now in a position to deliver upon its lithium diversification strategy. “The board’s strategy will be to position the company as a low-cost lithium producer, using its key geological insights into the discovery of lithium brines. Due to lithium brines typically having a lower cost of production, the board believes that this will be the company’s key differentiator in the rapidly expanding lithium supply and demand markets,” he said.